There, loving every bit of it, is Ralph Brennan. His professional life is all about welcoming tourists and visitors - and even potential visitors - to the New Orleans food culture, and welcoming his friends and neighbors who make his establishments part of their regular dining routine. In private life he is a fisherman, golfer, and skier, a highly competent cook, and a wine enthusiast with a rigorous social life. Like most of his fellow citizens, he lives and breathes the local cuisine. He will tell you of scaling back his personal intake in anticipation of the Mardi Gras season of excess, 'a ten-day marathon,' for which the ensuing period of Lenten fasting never seems to be quite enough. "My wife manages to give up enjoying a cocktail or glass of wine," he marvels, "... I just go to the gym every day." When he finally returned to the family business, he was armed with plenty of numbers-experience, as well as a whole-hearted love of it all. Today, The Ralph Brennan Restaurant Group includes Red Fish Grill in the New Orleans French Quarter, Ralph's on the Park in Mid-City New Orleans, café NOMA within the New Orleans Museum of Art, Heritage Grill with its catering facilities in the Heritage Plaza complex in Metairie, café b in Metairie, Ralph Brennan's Jazz Kitchen® located in the Downtown Disney® District at the DISNEYLAND® Resort, and Ralph Brennan Catering & Events. Ralph Brennan is a co-owner of Mr. B's Bistro and Commander's Palace in New Orleans, and Brennan's of Houston. For twenty years, he owned and operated the DiRoNa Award-winning BACCO restaurant in the French Quarter, a concept that he will soon be relocating to another area of New Orleans. Ralph Brennan is also a tireless advocate for the restaurant industry and for the city and people of New Orleans. He is a past president and chairman of the National Restaurant Industry; has presided locally over both the Louisiana Restaurant Association and New Orleans Restaurant Associations; he has served as chairman of the board of the Ernest N. Morial New Orleans Convention Center; and is the first from New Orleans to be named to the Culinary Institute of America's Board of Trustees. 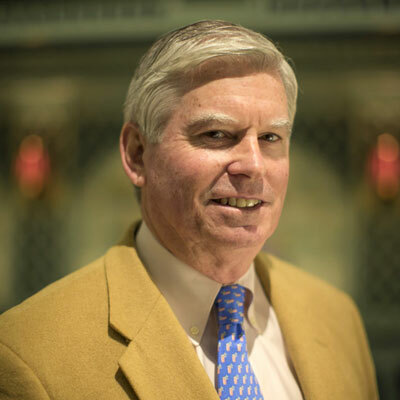 An obvious local authority to the people of New Orleans, Ralph Brennan was recently granted the honor of appointment to the U.S. Travel Association Board of Directors for the 2011-2013 term. He testified before Congress in the wake of the 2010 BP oil spill that threatens the Gulf seafood industry, his authority established not only by his experience as a respected restaurateur, but as the author of the acclaimed Ralph Brennan's New Orleans Seafood Cookbook, published in 2008. He is now working on the second edition. As a private citizen, he makes a point of supporting local businesses and establishments. Instead of relying on his restaurants' beverage suppliers to support his own wine collecting habit, for example, he patronizes the local markets. One of his three children has recently joined her father's group as a manager, and he hopes that another will eventually go to culinary school. But despite his own distant experience on the line, Ralph Brennan has no pretensions of being a 'real' kitchen professional. "There are skills of speed and quality that I haven't taken the time to develop," he explains, "I love to be involved at every level. It's fun for me to expedite orders, serve food, bus tables - whatever it takes - but these guys in the kitchen are real pros. I would make a poor amateur!"